Duane Bullard, retired community and economic developer, accepted the Community Development Institute’s Bill Miller Award. 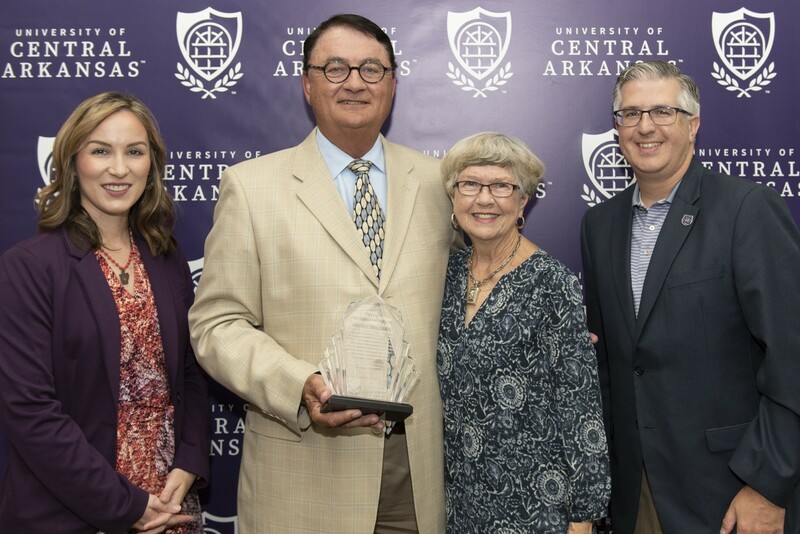 Also pictured, from left, are Amy Whitehead, assistant vice president for Outreach and Community Engagement at the University of Central Arkansas; Joyce Miller, Bill Miller’s wife; and UCA President Houston Davis. Bill Miller Award for his long-standing leadership and support of CDI, which includes many years of service as a CDI Advisory Board member, CDI class director and advocate. 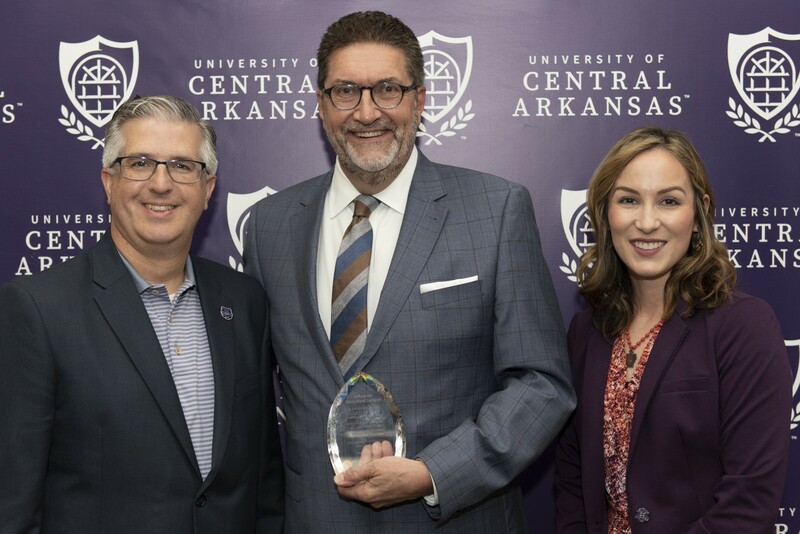 Mark Hayes, center, general counsel for the Arkansas Municipal League, accepted the Community Development Institute’s Friend of the Community Development Institute Award on behalf of the league. 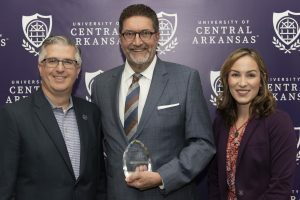 Also pictured, from left, are University of Central Arkansas President Houston Davis and Amy Whitehead, assistant vice president for Outreach and Community Engagement at UCA. The Community Development Institute, established in 1987 at the University of Central Arkansas, trains community and economic development professionals from Arkansas and surrounding states. The complete CDI experience is a three-year training program, with five days of training per year. Participants move through the program in cohorts and are exposed to a comprehensive, applied approach to the field of community and economic development.